The 17 wooden toy and board game stores of Fox & Cie welcome you and help you discover a multitude of items to bring pleasure to the children. 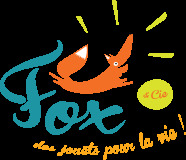 The shops of Fox & Cie offer toys and games to awaken children and help them grow, and thrive. Authentic and able to create memories, these quality toys and games allow children to develop and discover the pleasures of life in a healthy way. You will also find many board games for the whole family in our stores.